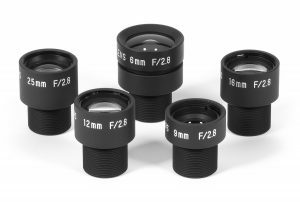 Choosing the correct lens manufacturer is crucial to your company receiving the lens necessary for the tasks it performs. Whether you’re in the medical, optical or any field in between that utilizes lenses, take your time to assure you’re getting the best manufacturer for your unique lens needs. When you’re in the market for a lens manufacturer you will need to understand the function of the device in which the lens will be fitted. Because design is so closely aligned to the overall manufacturing process the choice of device can impact the lens type you ultimately end up with. Look for an optical manufacturer that specializes in the area for your needs. Ask whether they specialize in crystal, glass or plastic and the production method they use whether it’s grinding or molding of the lens. Talk with the lens manufacturer about his process for quality control and what test procedures they have in place to assure that the lens they prepare for you is of the quality you need. Working with the lens engineer is recommended as he or she will have the knowledge and understanding to grasp the intricacies of your proposed project and can more fully answer your questions on production, quality control and the type of device into which your lens will best operate. The lens manufacturers also are fully-versed in the mechanical and electrical requirements of lens integration into both existing systems and systems you will need to secure to complete the production of your items. The custom lens designs from Universe Kogaku can often reduce system cost by eliminating the need for other design components or modifications. UKA offers full plastic optics capability for both lenses and barrels. Our facility contains the best in lens manufacturing and inspection equipment including a spectrophotometer, video MTF bench, laser interferometer, optical collimator bench, in-house single and multi-layer coating, full computer-aided lens and coating design and much more.